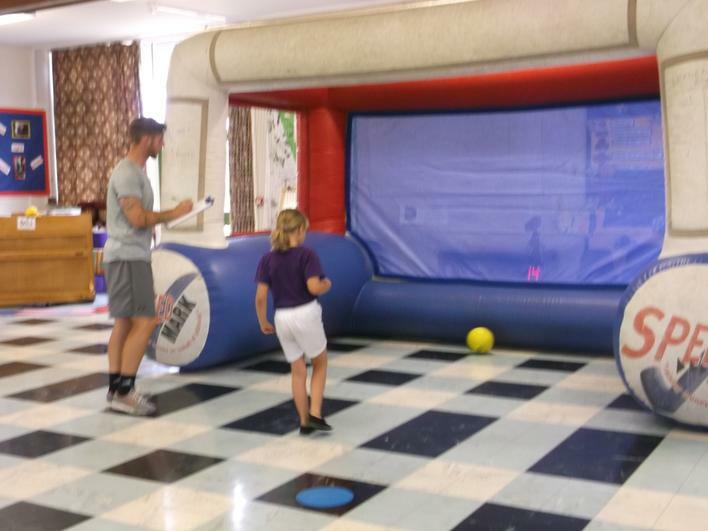 House Points - Thank you to Bill, our ever faithful caretaker, for making a new interactive display for counting our team points. 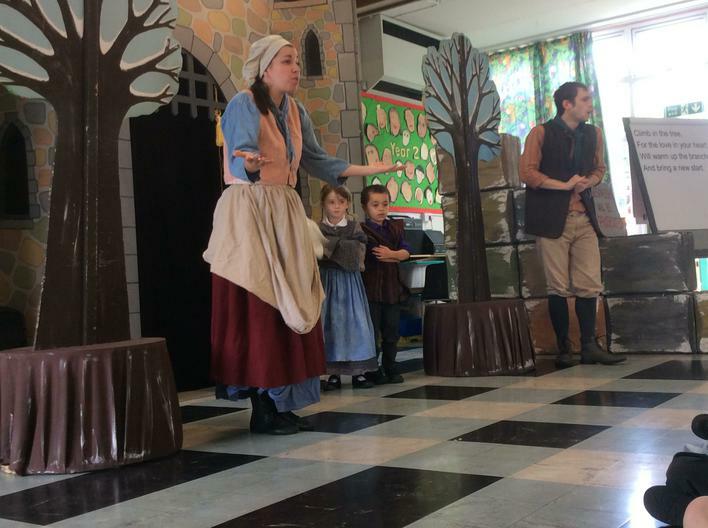 KS1 teachers ready for History Week Dress-Up Day! 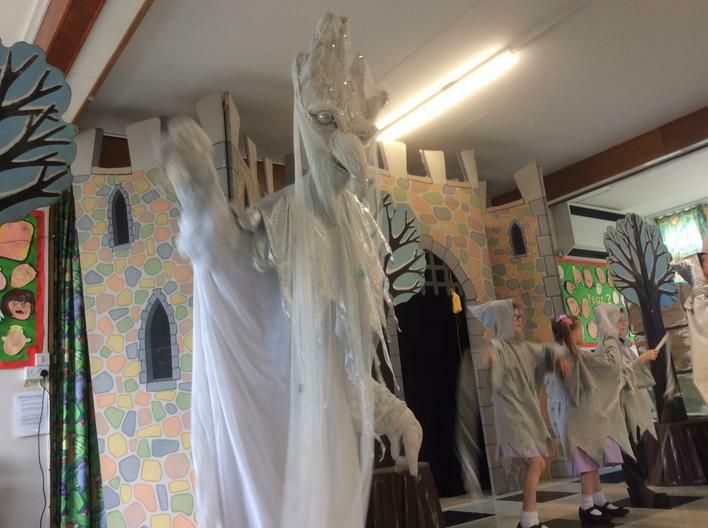 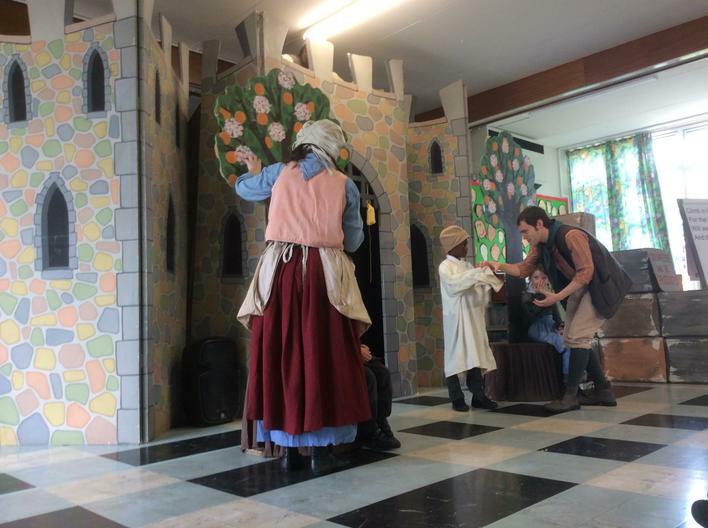 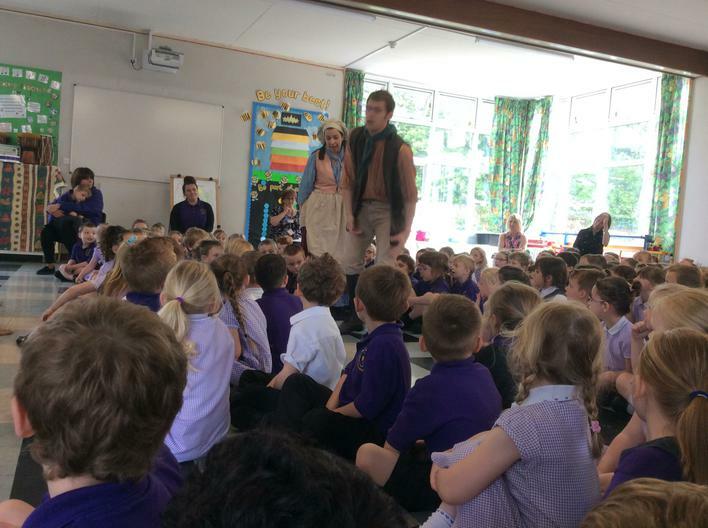 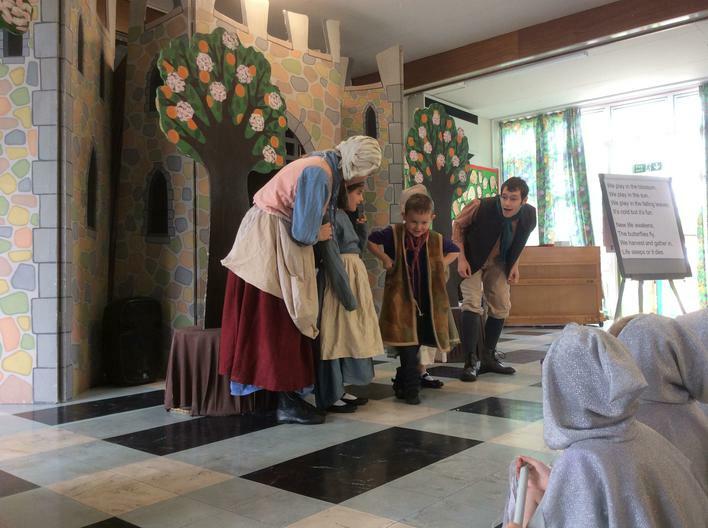 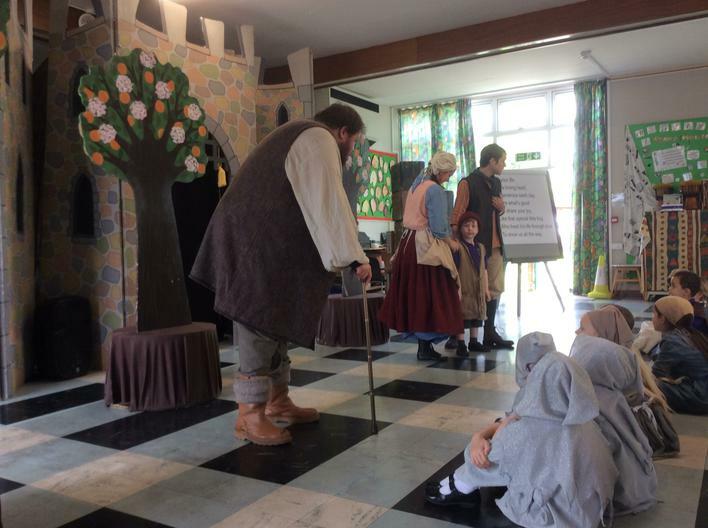 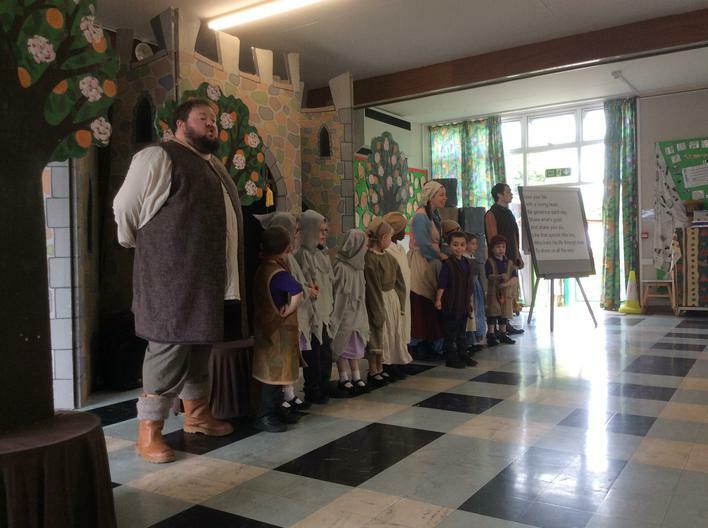 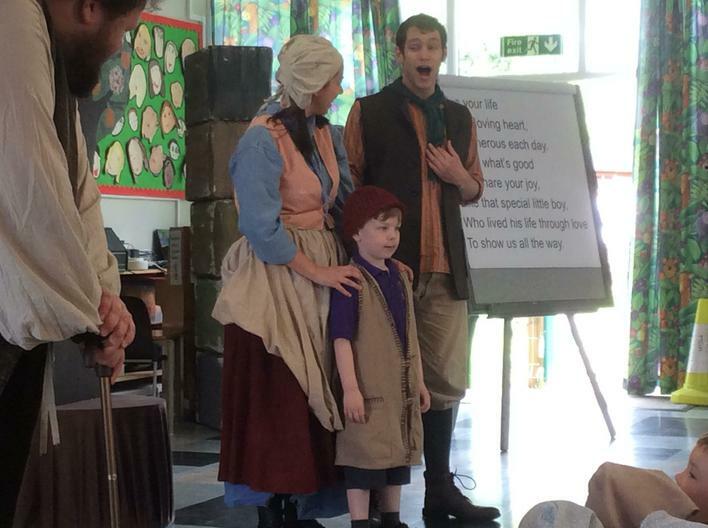 We had a visit from a Theatre Company who performed The Selfish Giant! 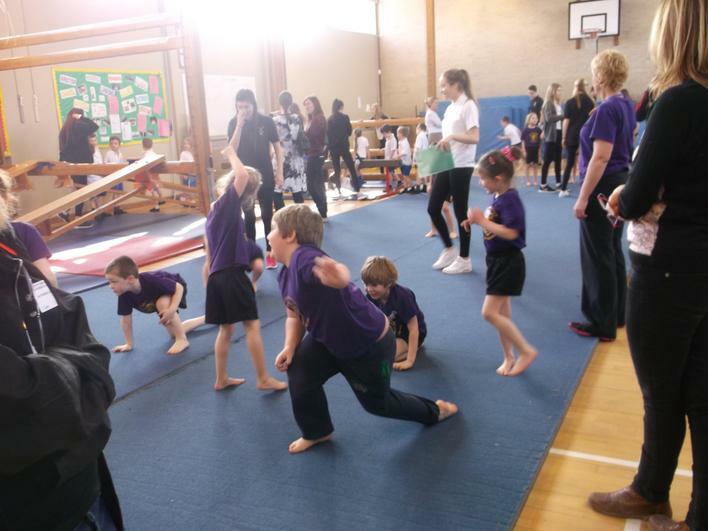 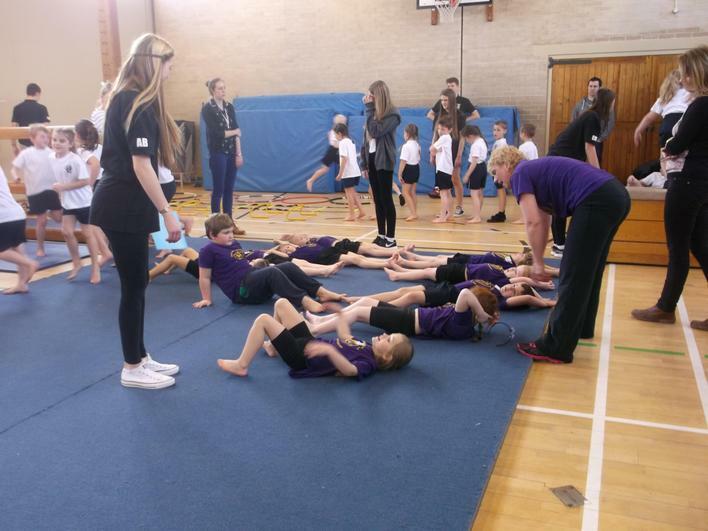 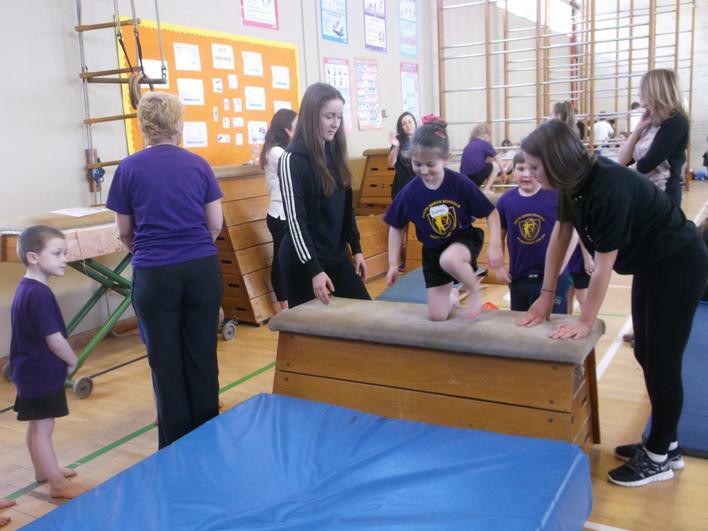 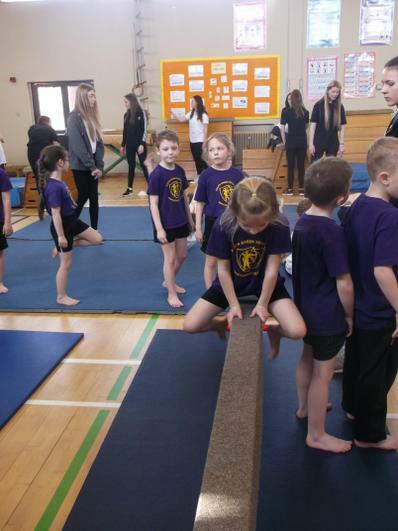 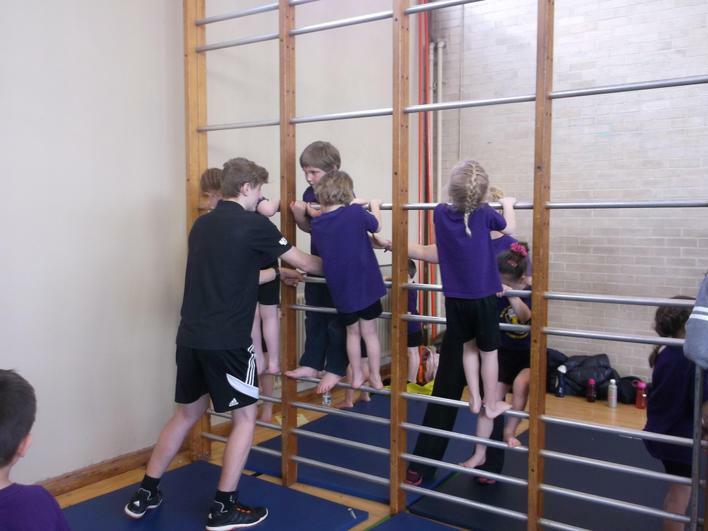 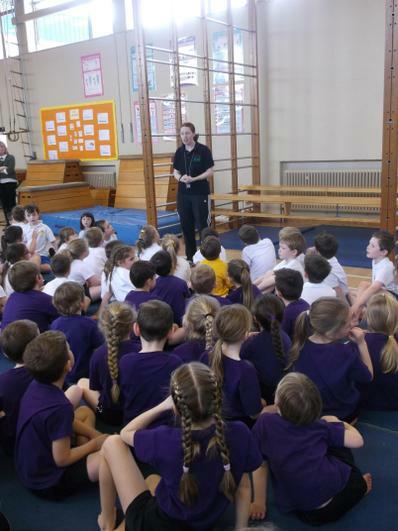 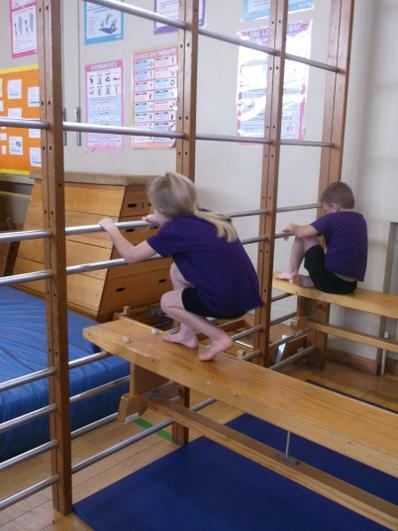 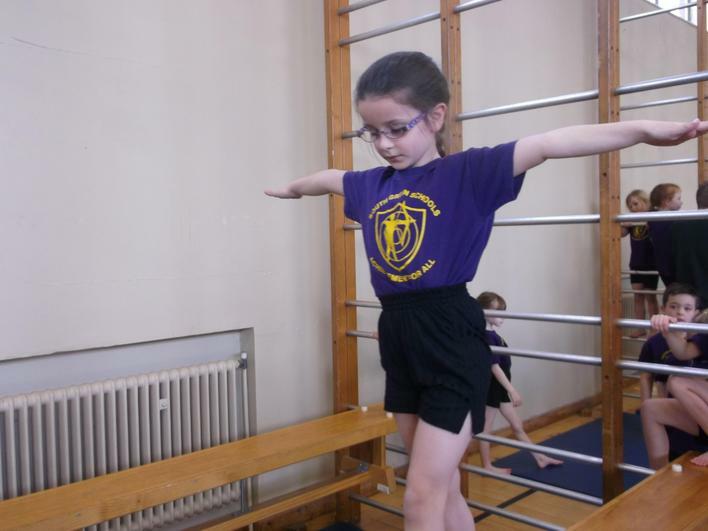 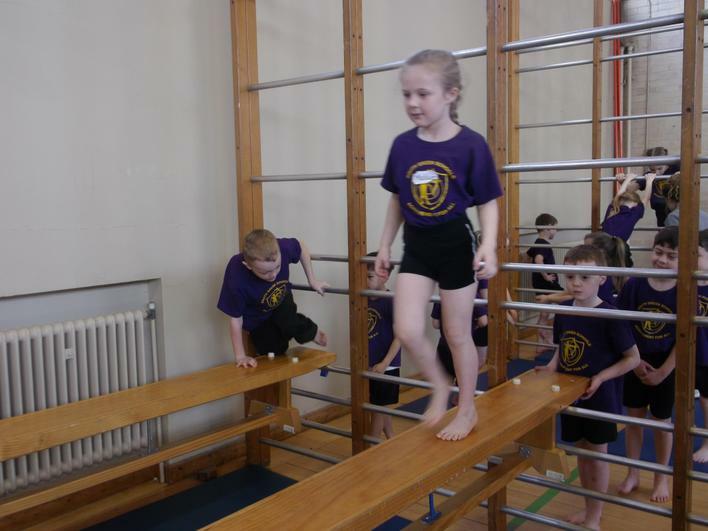 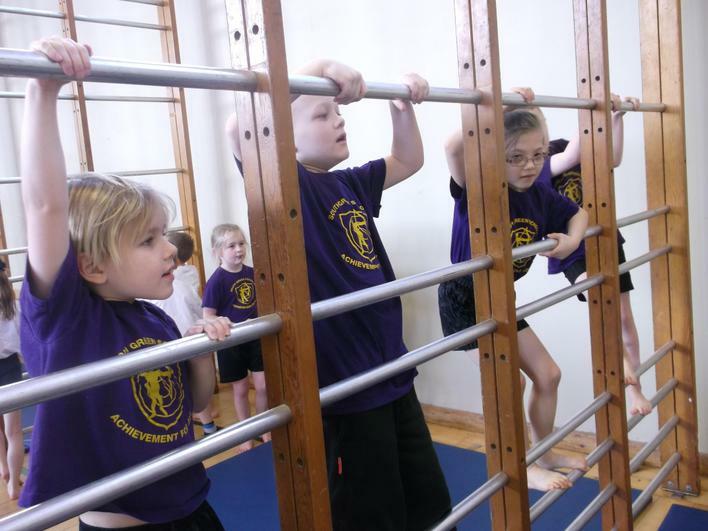 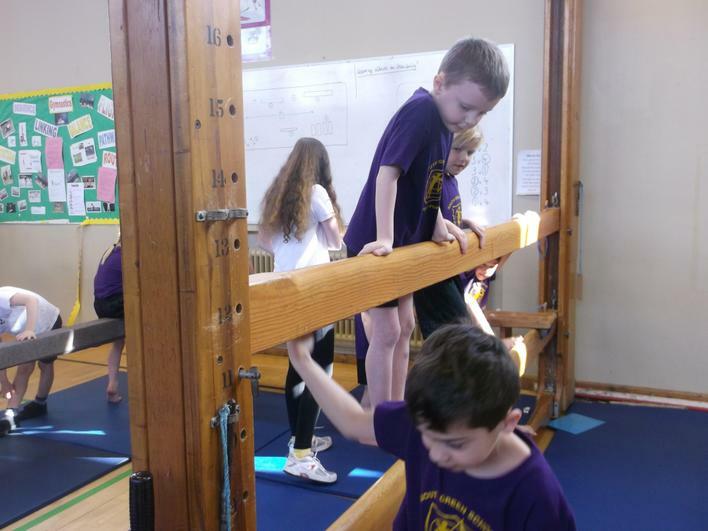 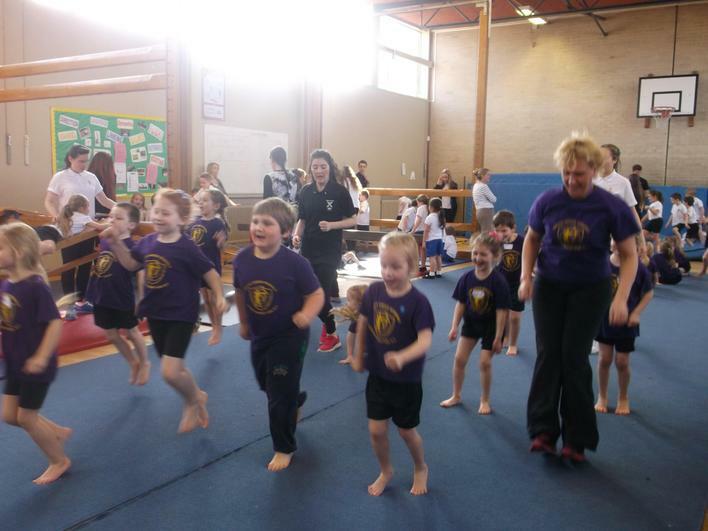 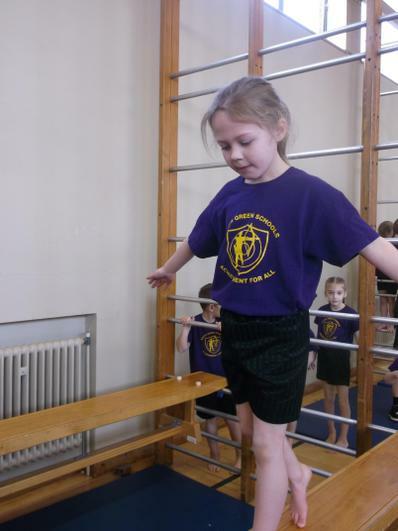 28 Year 1 and Year 2 pupils went to Billericay School on 11th March to take part in a Gymnastic Festival. 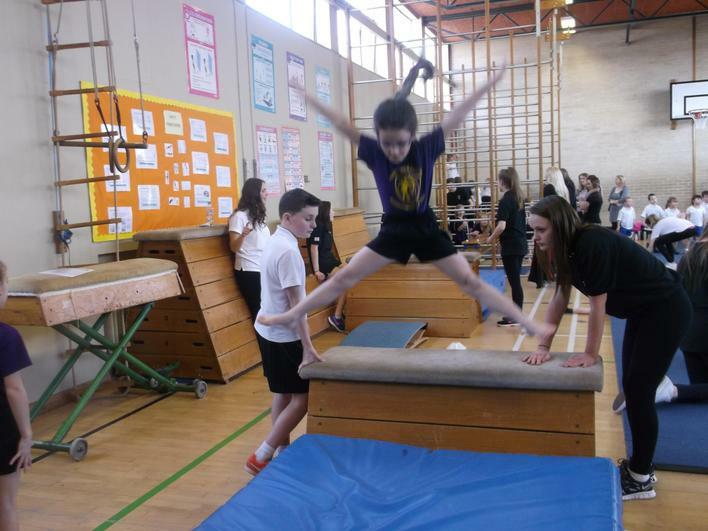 They worked with some Year 10 students there and learnt many new skills. 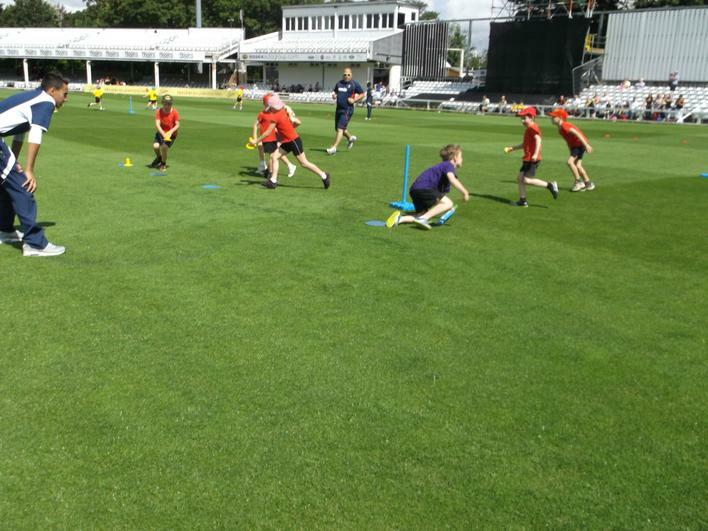 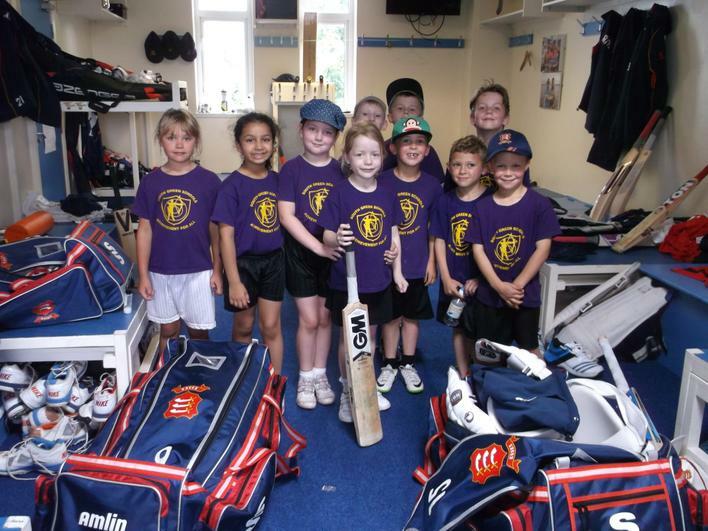 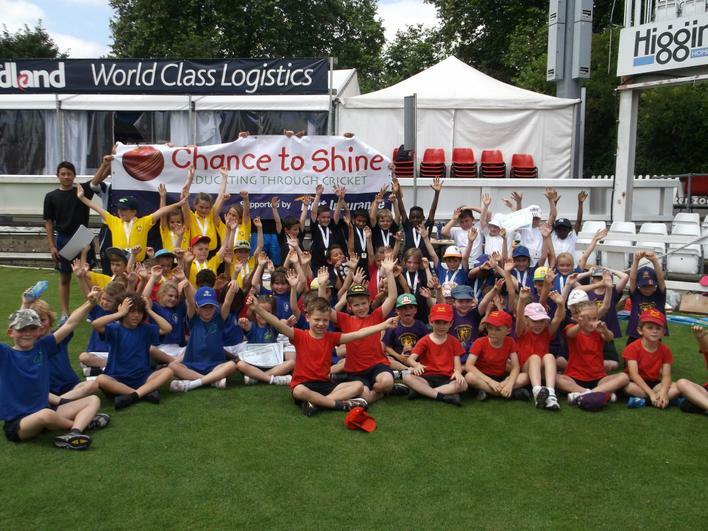 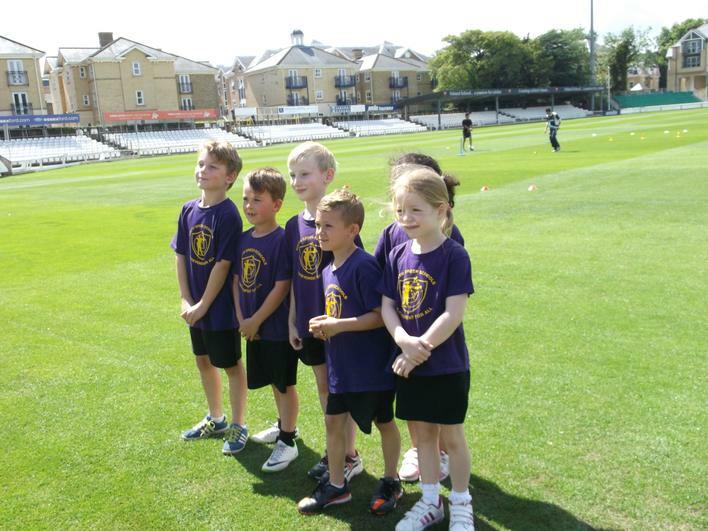 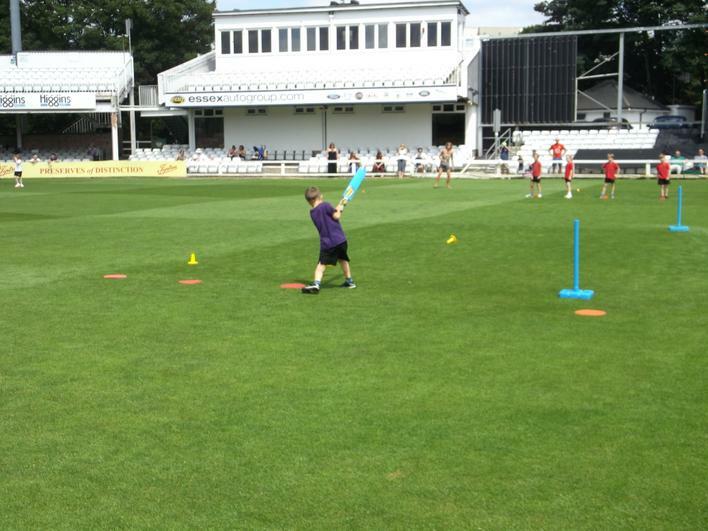 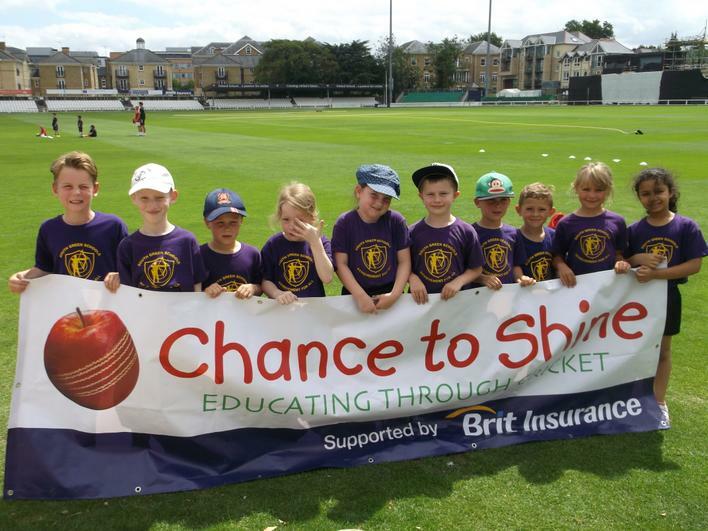 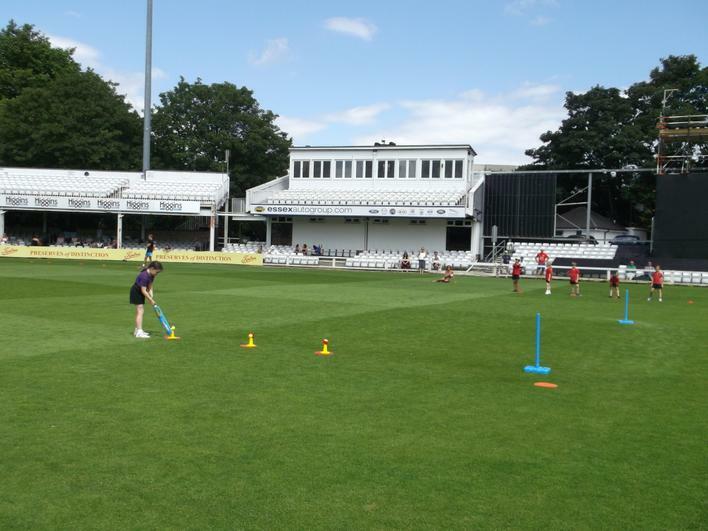 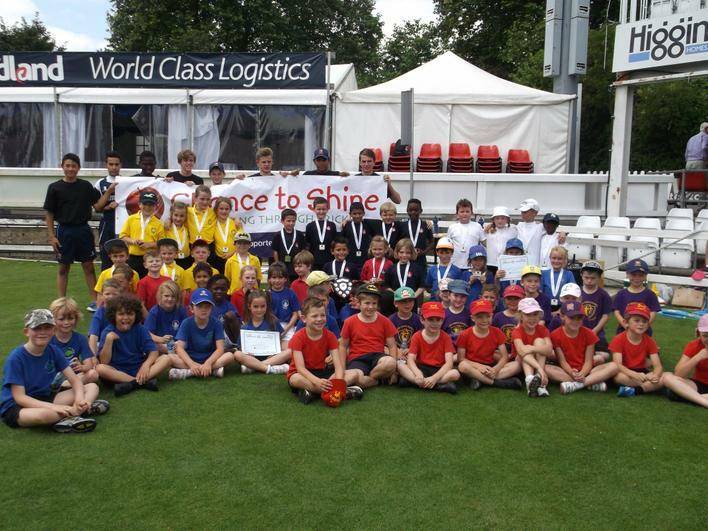 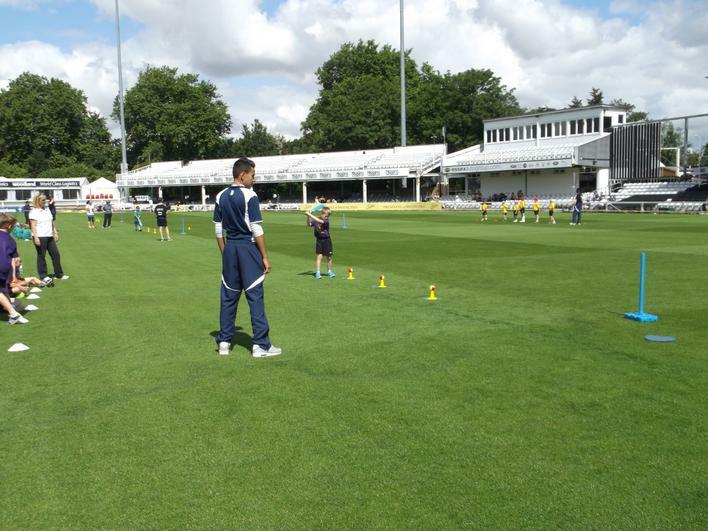 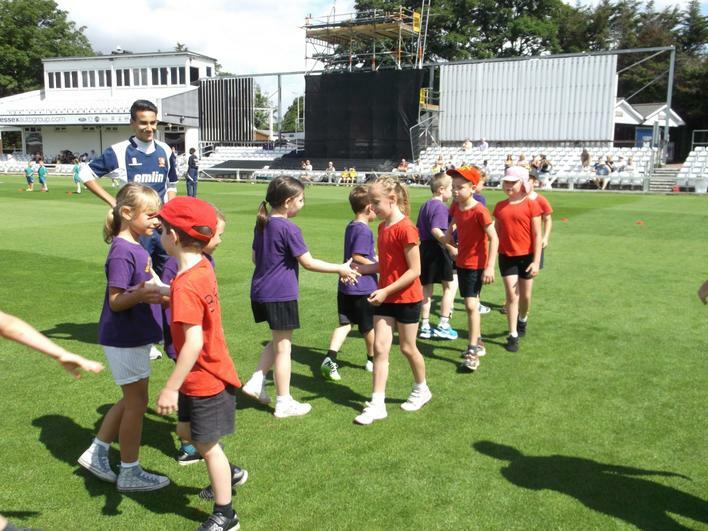 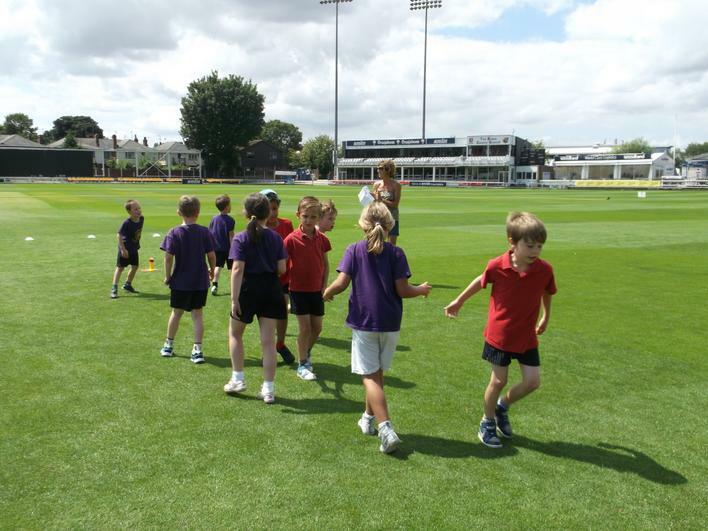 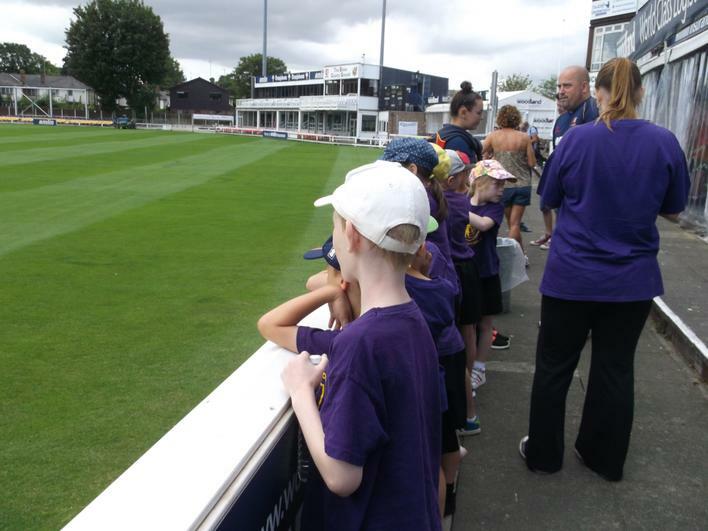 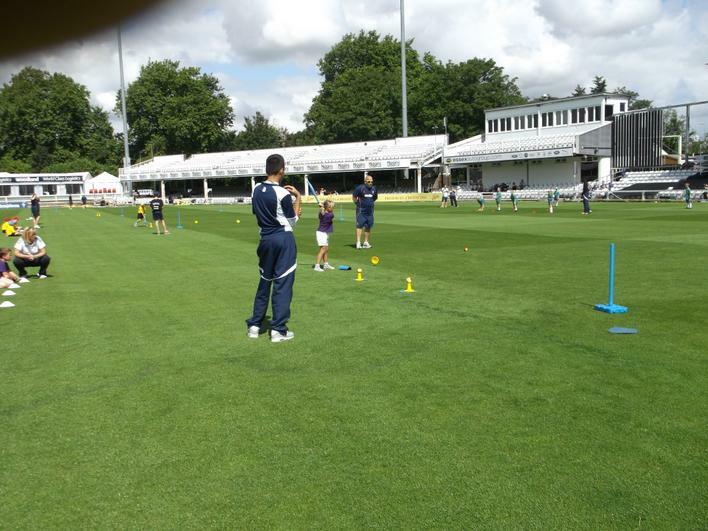 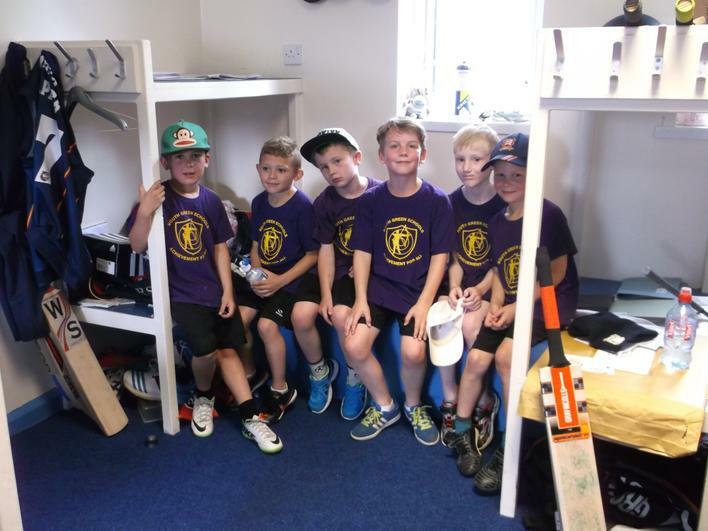 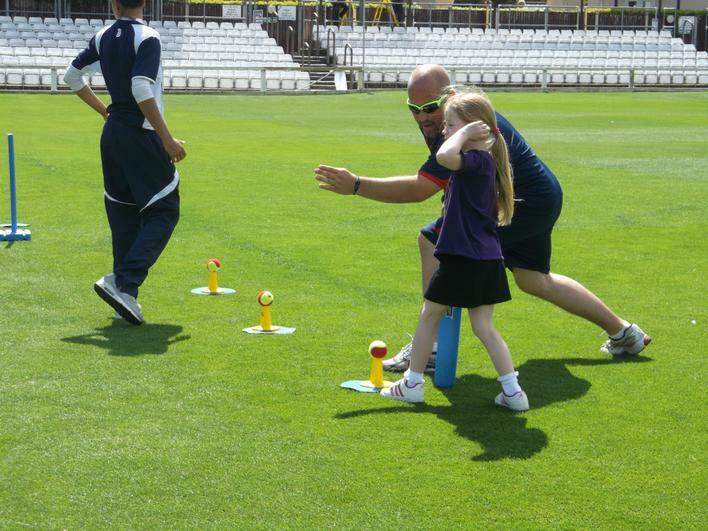 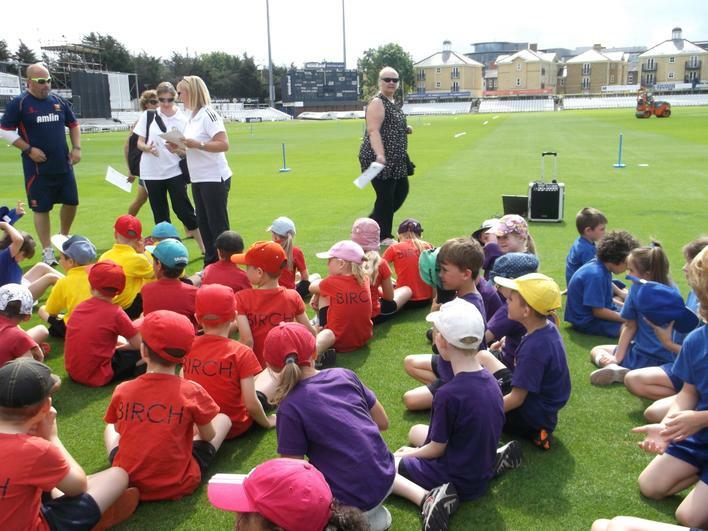 10 pupils from Year 2 having won the 3Ts cricket festival at Billericay School went on the the county finals held at Essex Cricket Ground. 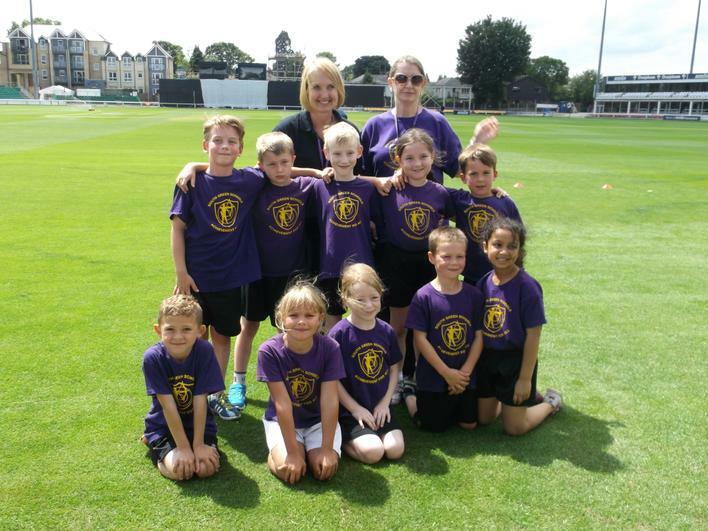 We were very proud of all of them, they all worked as a team and came 6th out of 10 schools from all over Essex. 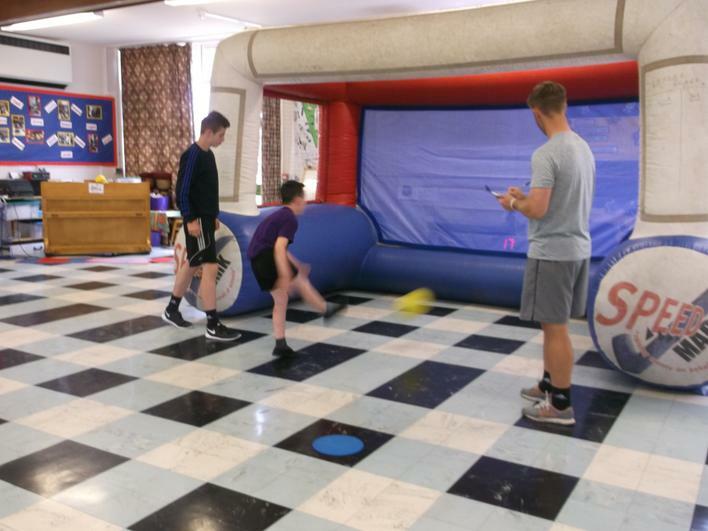 I hope you all enjoyed Health and Fitness Week - our Sports day on Friday went really well and the overall winner was Brazil with 92 points, 2nd place went to Chile with 91 points, 3rd place was Argentina with 90 points and 4th place was Peru with 88 points - as you can see a very close event. 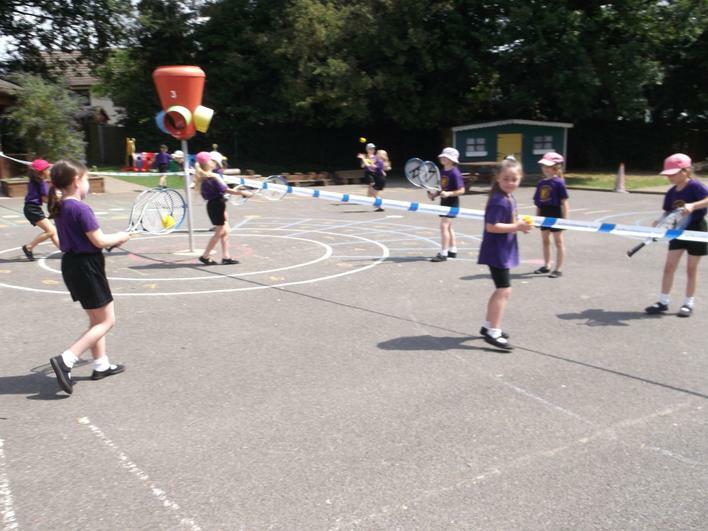 The Shopping Race was won by Chile, The Running Race was won by Argentina, Peru won the throwing activity and Brazil won the Skipping Race, Football Dribbling and Bat and Bean Bag Race. 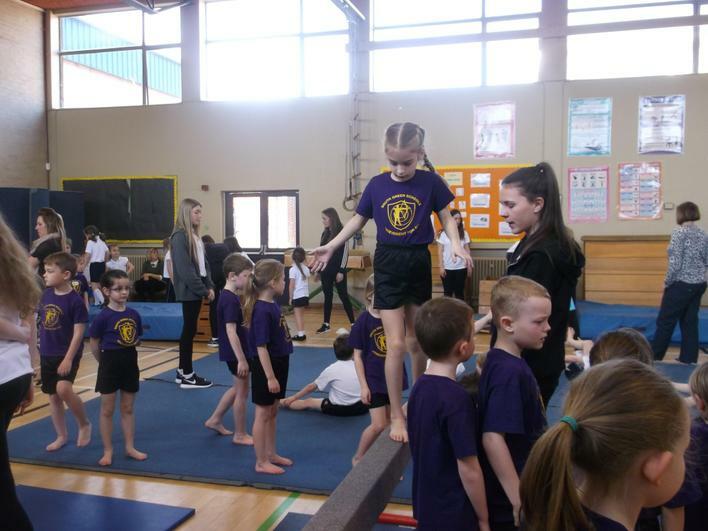 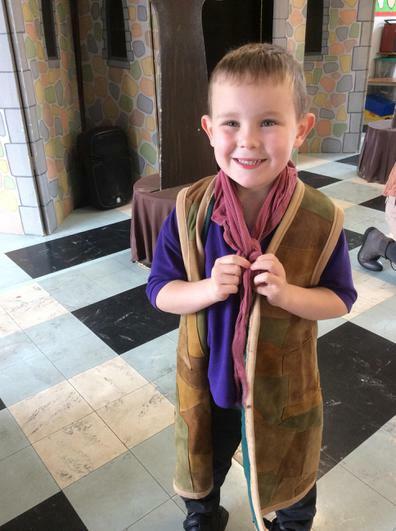 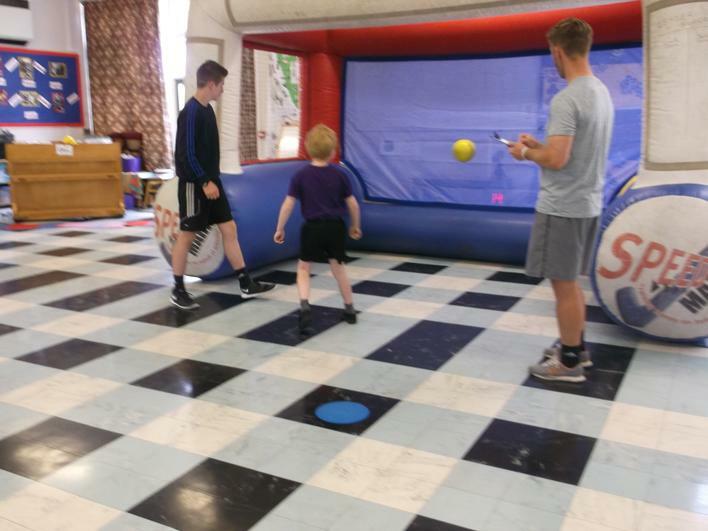 All the pupils really tried their best and I was really pleased with the Year 2 pupils who provide help and support for the younger members of their team. 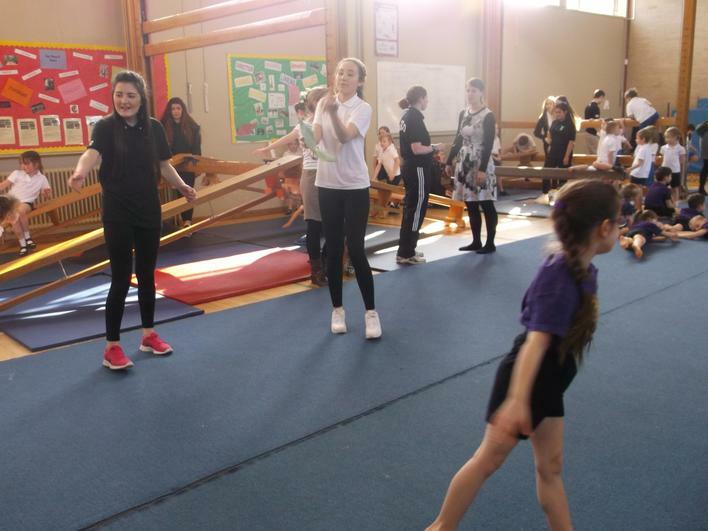 We were also supported by some Year 9 students from Billericay School. 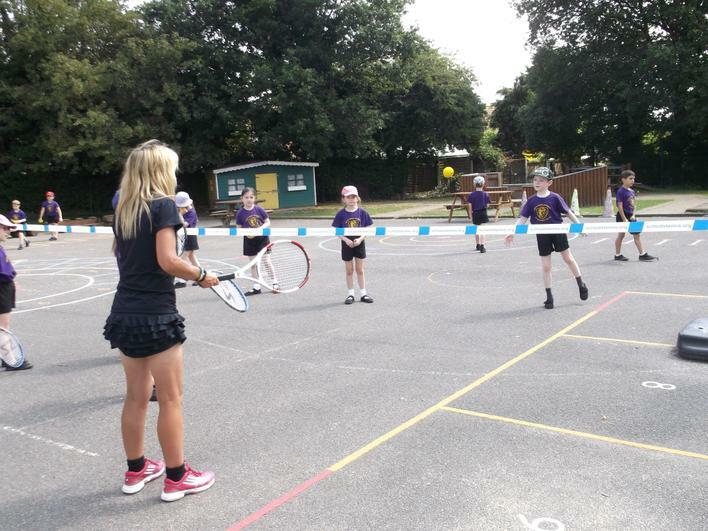 The following week all classes enjoyed short tennis with Nicky Waring from Billericay Tennis Club, Dancing with Keeley Scott from Kreate Dance and on Thursday Speedmark came into our school. 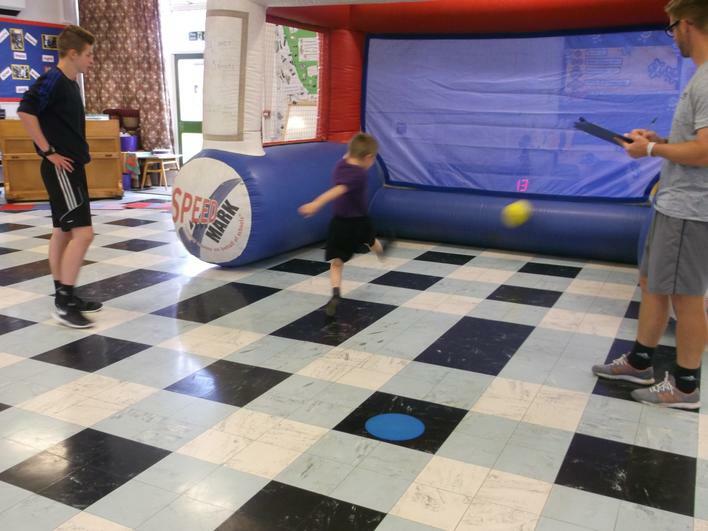 Every class went to the hall and had three goes at scoring a goal and their speed was recorded. 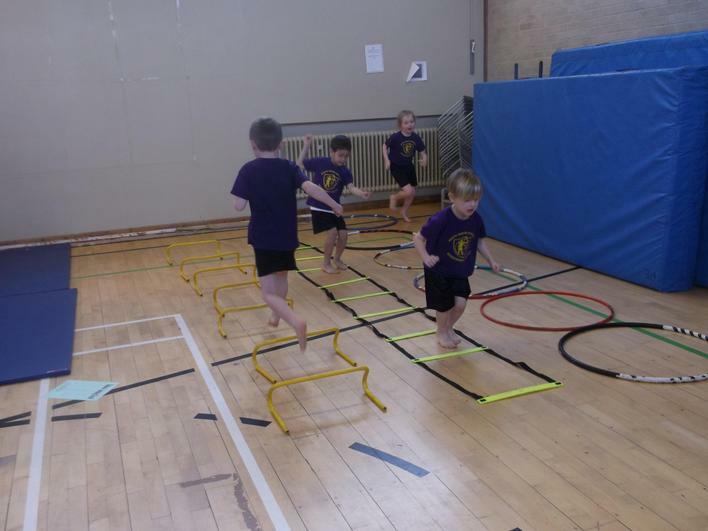 The fastest score was recorded by Adam Croft from Yellow class, year 2 with a speed of 33mph, well done Adam. 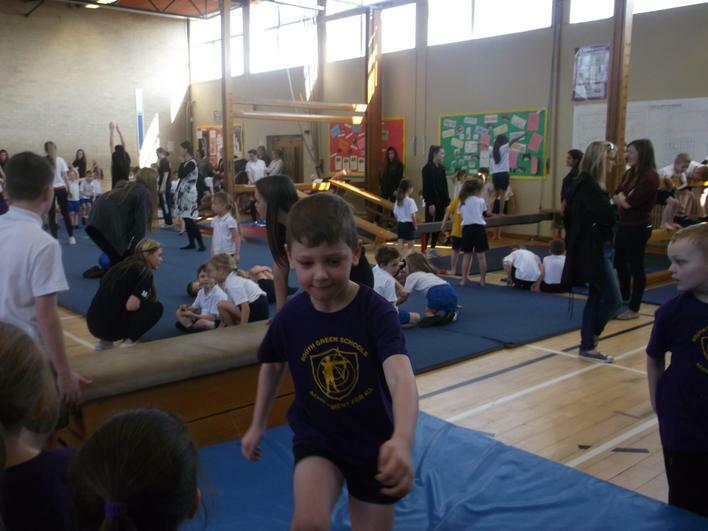 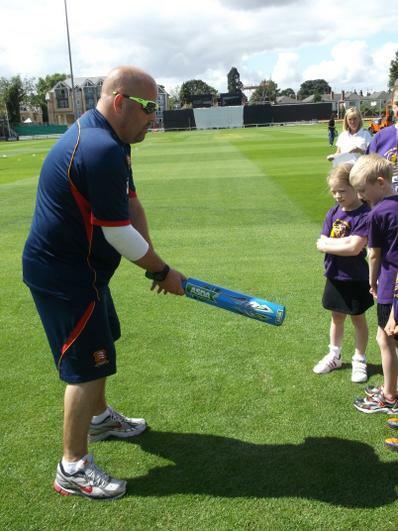 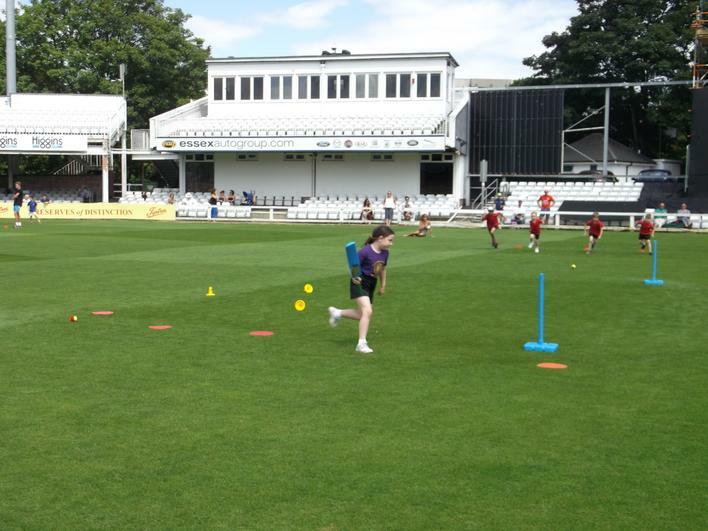 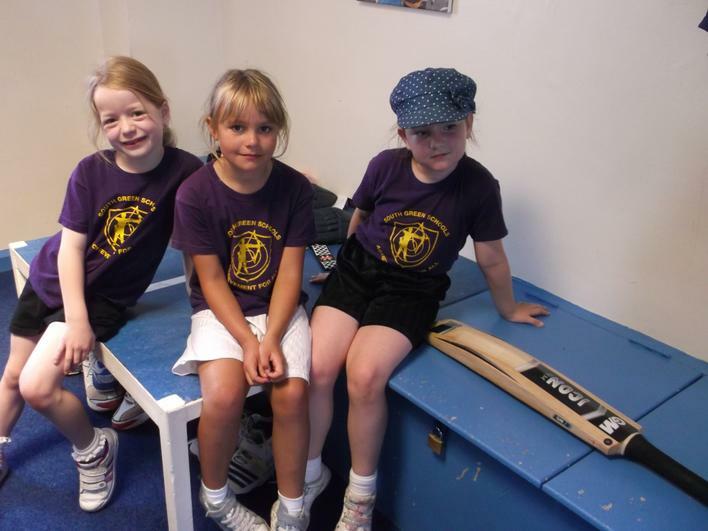 All the classes enjoyed a lot of other sporting activities arranged by their teachers.